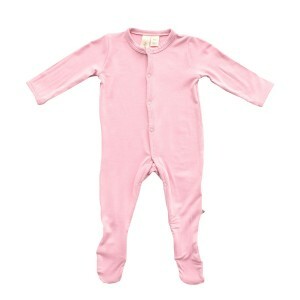 Over the past few years we’ve discovered some truly amazing baby products. From a car seat that transforms into a stroller to an eco-friendly play gym that includes developmental activities for the first 12 months of your baby’s life, our top 10 most registered for products are total game changers and must-have items you need to know about. From Day One of launching The Tot, we’ve made it our mission to find the cleanest, safest, most stylish and most ethical products for our families. When shopping for our babies, we want to know that there aren’t any nasties lurking in our baby bottles and that their clothes are made fair trade and from sustainably sourced materials. We also want to know that the gear they need isn’t just a one trick pony. We want the products that grow with our kids, meet multiple needs and won’t just end up in a landfill. 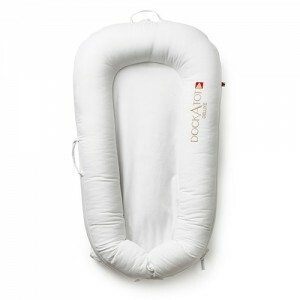 Made from ultra breathable and hypoallergenic fabric, the Dockatot Deluxe+ Dock lets your little one rest, lay and play in any room in the house. 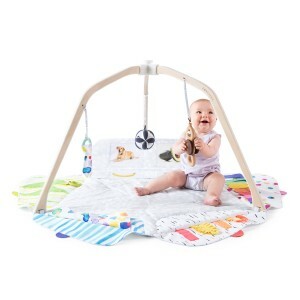 Designed with raised cushioned sides, it keeps your baby safe and secure, while offering the ability to add a toy arch and toy set for extra fun. Ever have a baby fall asleep in the car and wake up mid transfer? Us too. Thanks to Doona, that scenario is now easily avoidable! 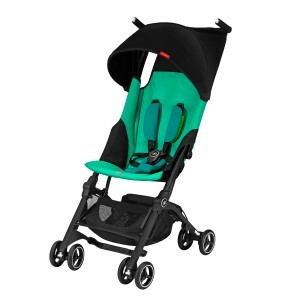 Famous for their high safety standards, Doona has won the hearts of parents around the world with their car seat stroller hybrid. 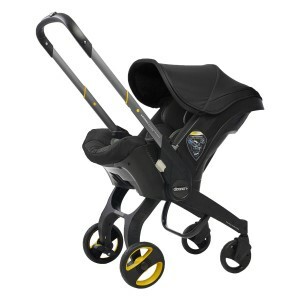 Its integrated wheels and contractible handle allow this double walled car seat to transform into a stroller in seconds. 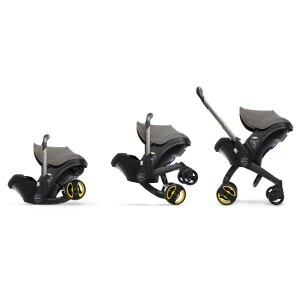 Another stroller winning the hearts of parents on-the-go is the GB Pockit Stroller Plus. 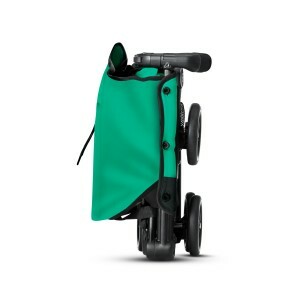 At only 12 lbs, it is light as a feather, but strong as a bull and the most compact stroller in the world. 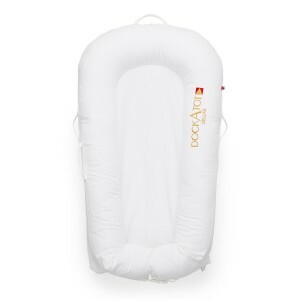 Why we extra love it: It’s car seat compatible, able to fit in an overhead airplane compartment, has a UPF 50+ sun canopy and offers a recline for naps on the fly. 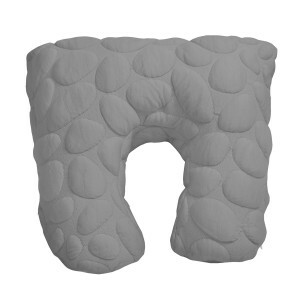 Whether you’re breastfeeding or bottle-feeding, you’re going to want a support pillow. It’s shocking just how heavy an 8 lb baby can feel! 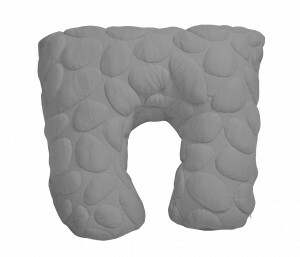 Parents love the Nook Sleep Systems Niche Organic Feeding Pillow because it has a machine washable organic cotton and eucalyptus cover that is eco-friendly, non-toxic and naturally antibacterial. It also can be used as a prop to help your baby sit up or as a body pillow for toddlers. 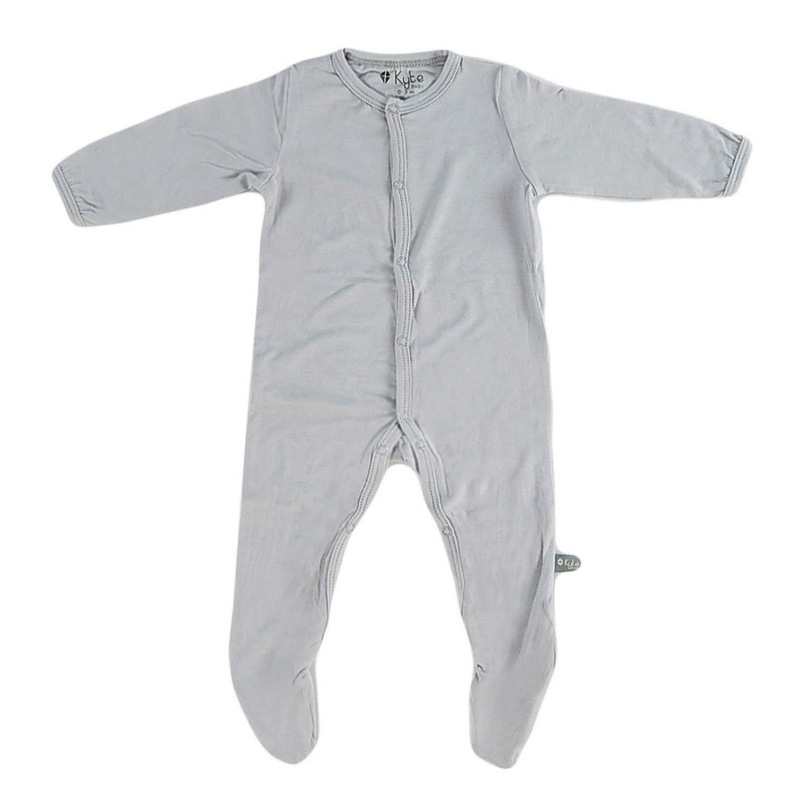 Made of naturally hypoallergenic and ultra sustainable bamboo rayon, the Kyte BABY solid footie is a newborn essential that provides temperature regulating coverage as well as easy access for diaper changes. It also comes in a wide variety of colors! 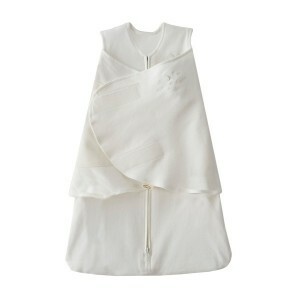 Another genius product we couldn’t imagine having our babies sleep without is the HALO Organic Sleep Sack Swaddle. Perfect for babies who like to kick their feet, but need to have their arms a bit more secure, it swaddles your baby while providing a built in blanket that can’t be kicked off or accidentally pushed onto their face. Play gyms have been around for a long time, but the Lovevery Play Gym brings that bit extra. Designed with high contrast images (which are easier for babies to see) it includes at least 12 months worth of developmental activities. Bonus: it transforms into a cozy tent for toddlers! 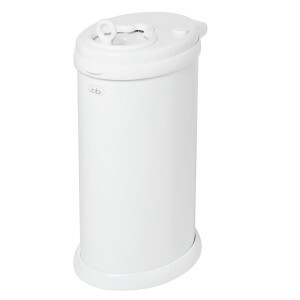 Known for its superior odor control and sleek design, the Ubbi Diaper Pail is a parent favorite because it can be used with any standard garbage bag or reusable cloth liner making it the eco-friendly and effective choice. 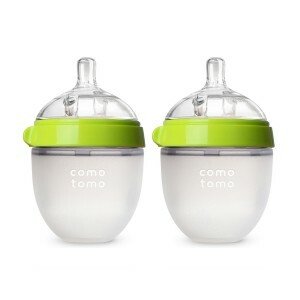 Made of soft, safe and hygienic silicone, the Comotomo Natural Feel Baby Bottle gets rave reviews! 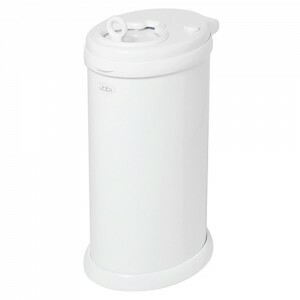 Both microwave and dishwasher safe, it mimics the feel of a breast and features dual anti colic vents to prevent unwanted air-intake to help reduce instances of colic. 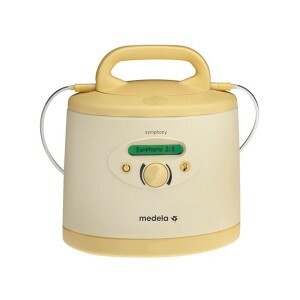 Designed to mimic a baby’s natural nursing rhythm, parents love the Medela Symphony Breast Pump because of how fast, efficient and easy it is to use. 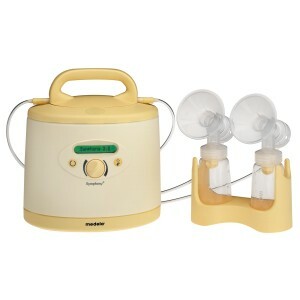 Whether you’re pumping so your partner can bottle feed at night, or you need to get back to work – this breast pump can allow you the freedom to feed your baby when you need to.